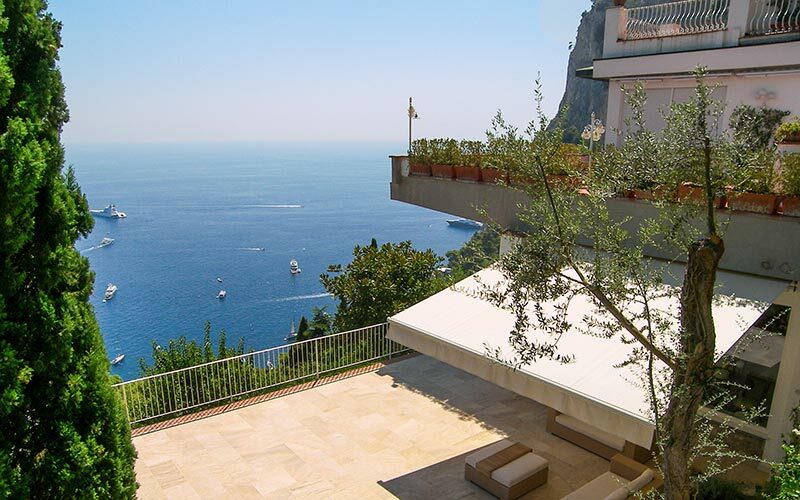 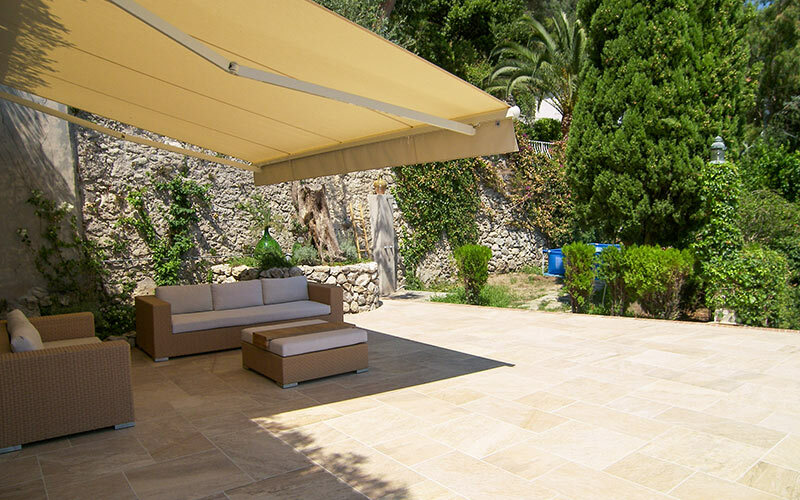 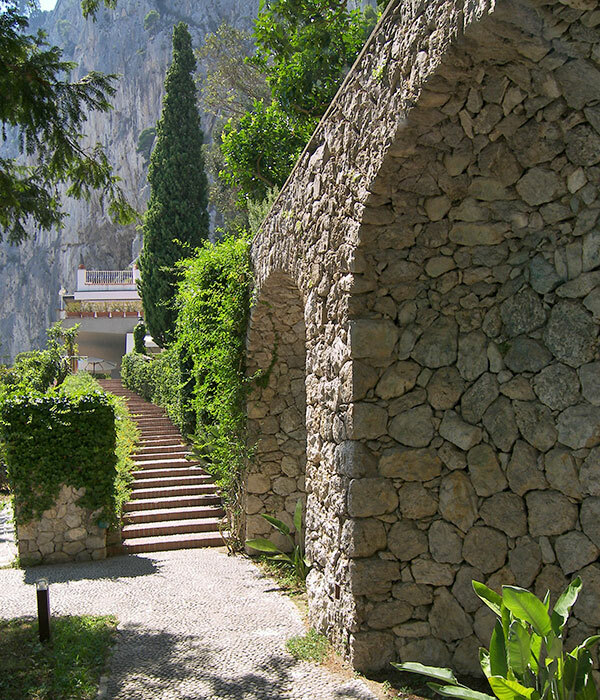 A mere 15 minutes away from the island's famous Piazzetta, set in a garden abundant in Mediterranean pine trees and with magnificent views of Marina Piccola and the sea washing against the Faraglioni rocks, La Terrazza is one of the most beautifully located villas in the whole of Capri. 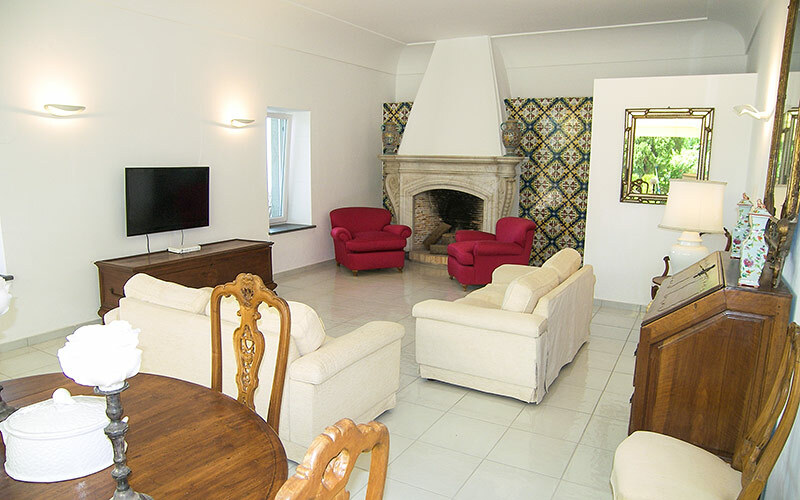 The living room, furnished with comfortable divans and antiques, and dominated by a large stone fireplace resting against a wall tiled in green and yellow hand painted majolica, provides the perfect venue in which to entertain family and friends. 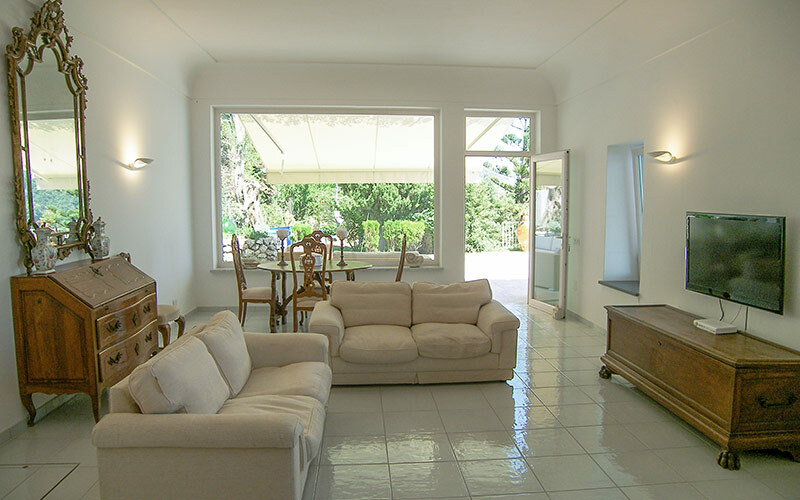 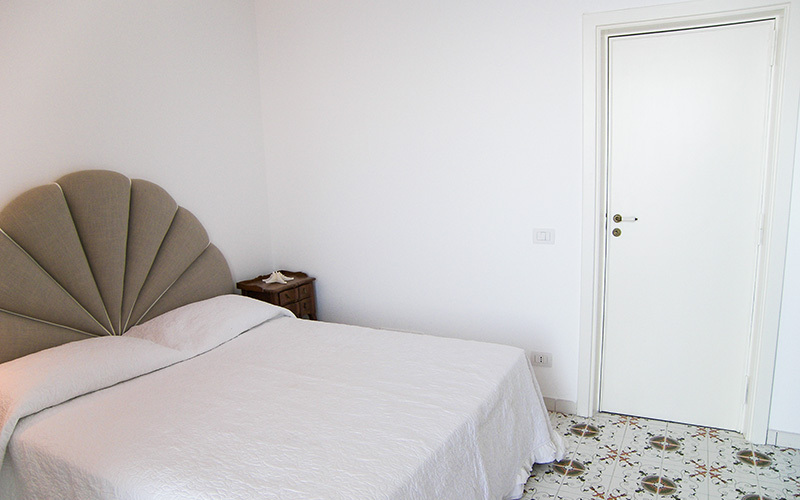 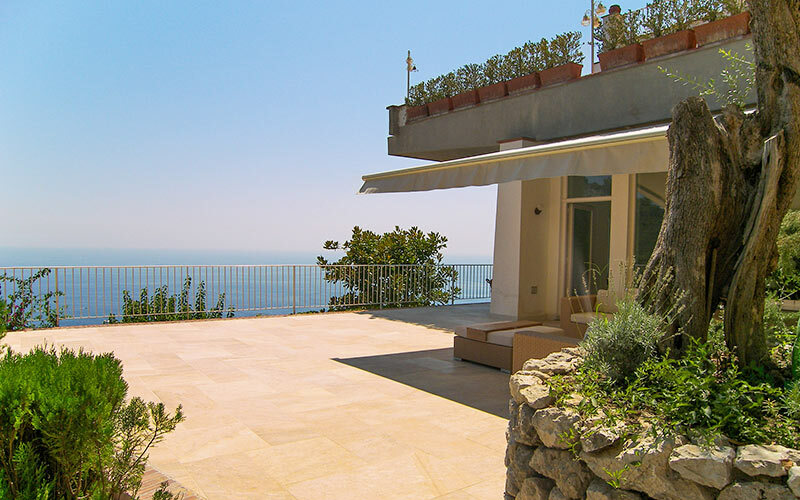 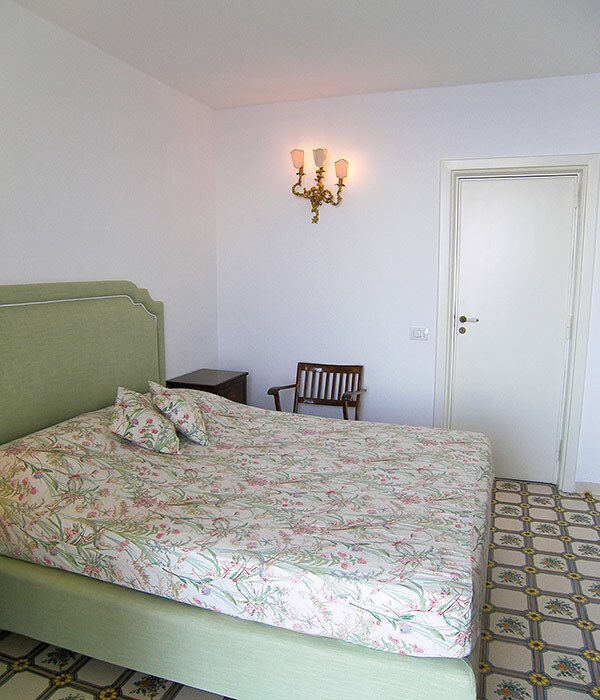 Villa La Terrazza has three elegantly furnished bedrooms, decorated with colorful majolica floor tiles and with a splendid sea view. 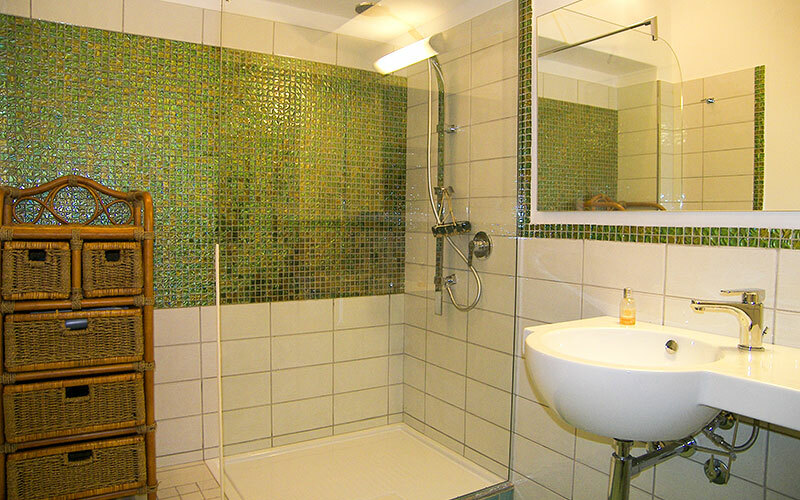 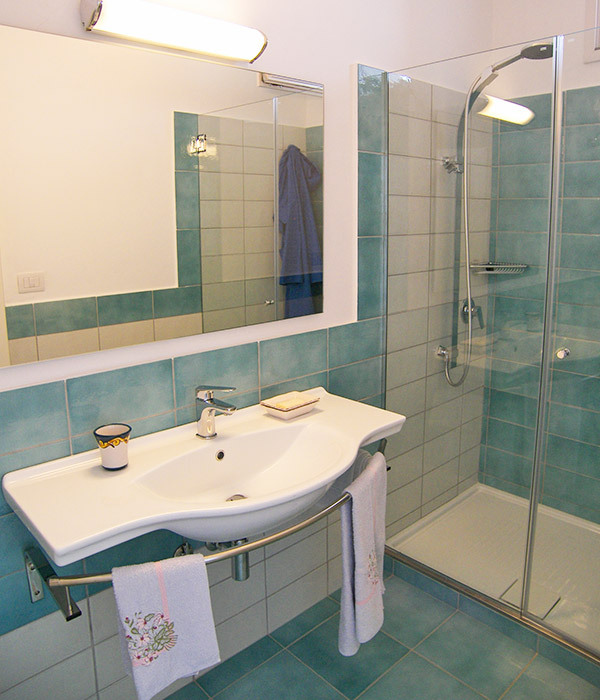 Each room has a private bathroom with generously-sized shower. 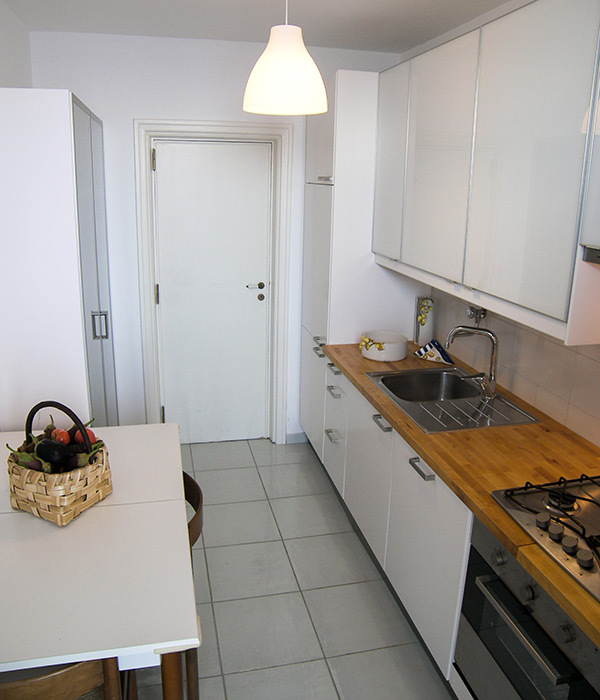 Close to the living room, the villa's small and functional kitchen has everything you might need to prepare either a light snack or full-blown feast. 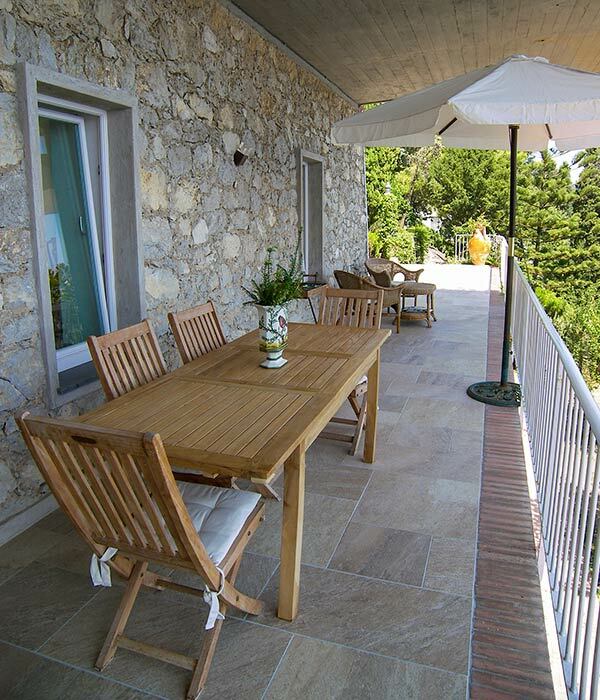 The kitchen opens out onto the terrace, ideal for al fresco dining.